Researchers who analyzed the fossil of a 90 million year old reptile found in Argentina on Friday, November 27, 2015 stated that they may have solved the puzzle of evolution of how snakes lost their legs. 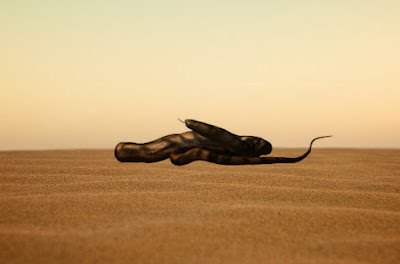 According to the results of their study were published in the journal Science Advances, snakes lost their legs when their ancestors evolved to live and hunt in burrows, which still carried a lot of snakes until now. Some scientists had previously argued that the absence of legs on a snake occurred because the snake must adapt to swim in the ocean, although the hypothesis generally accepted about the evolution of snakes is that their predecessors live in burrows in the mainland. 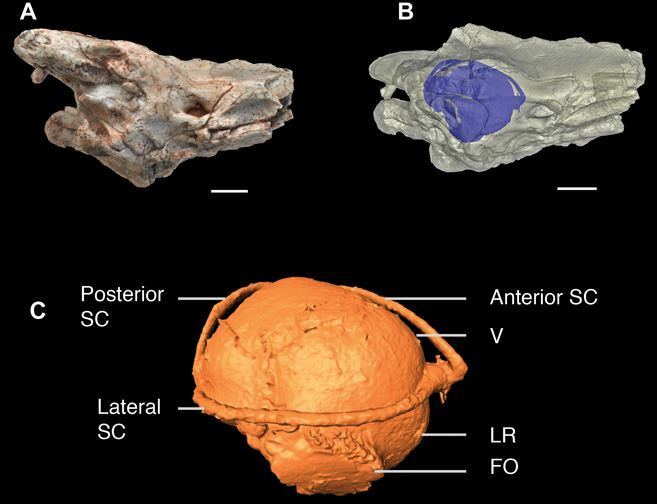 In the new study, the scientists used CT scans to examine the bones of the inner ear of Dinilysia patagonica, a two meter long reptile closely related to modern snakes. Then they build a virtual 3D models to compare the fosil's inner ear to modern snakes and lizards and found that the inner ear of the extinct snake has the hallmark of animals that live in burrows in the mainland. Vestibule of the inner ear of Dinilysia patagonica was large and rounded, increased sensitivity to low frequency vibration, according to the researchers. Size of the front room in the ears similar to the size of the front of the ears of modern snakes to feel low frequency vibrations in the ground and similar to those found in the diggers species who use low-frequency vibrations in the ground to detect prey. "How snakes lost their legs has long been a mystery to scientists, but it seems this happens when their ancestors became adept at digging," said the authors of the study, Hongyu Yi of the School of GeoSciences University of Edinburgh in a statement.